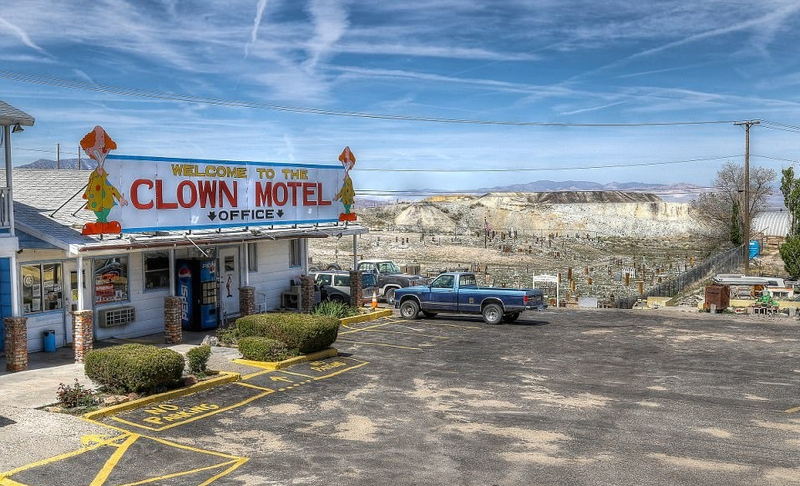 In the quirky town of Tonopah of Nevada state, there is a creepy motel called “Clown Motel”. 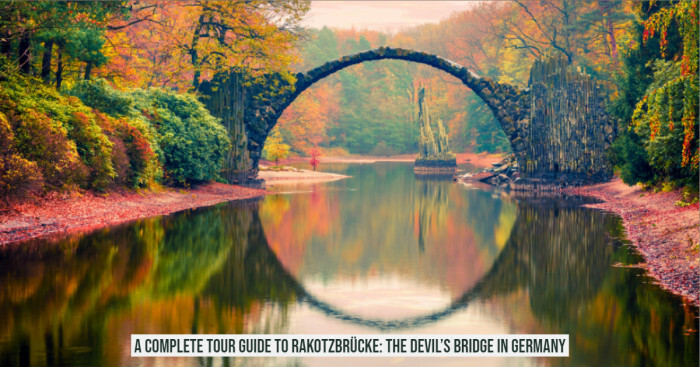 It’s probably one of the creepiest motel of America for overnight stay! 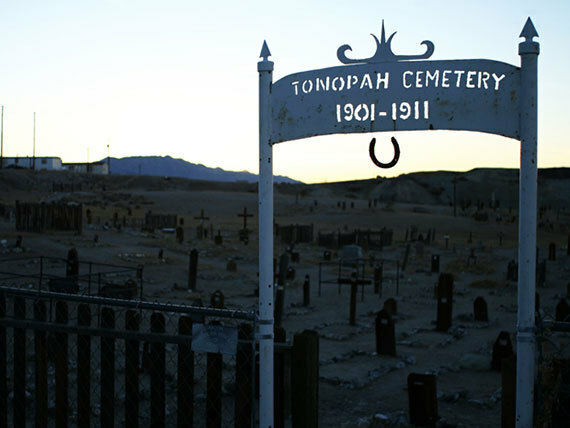 The visitors can also notice an arch proclaiming “Tonopah Cemetery”. 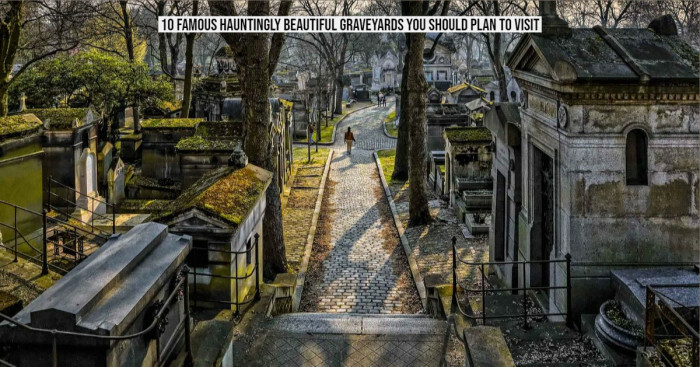 Beyond the gate, there lies more than a 100-year-old graveyard. 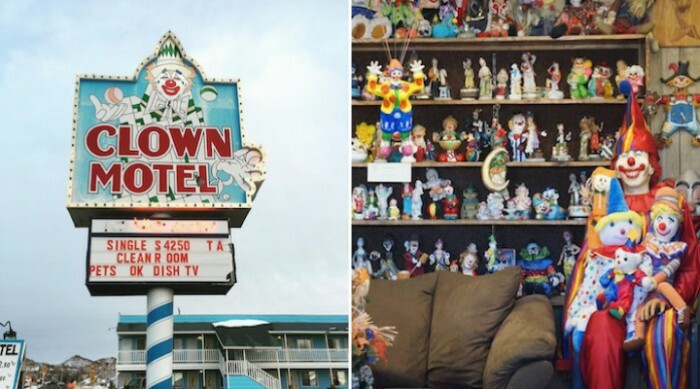 In 1996, the head clown and the owner Bob Perchetti (locally known as “The Mayor”) bought this clown-themed motel. 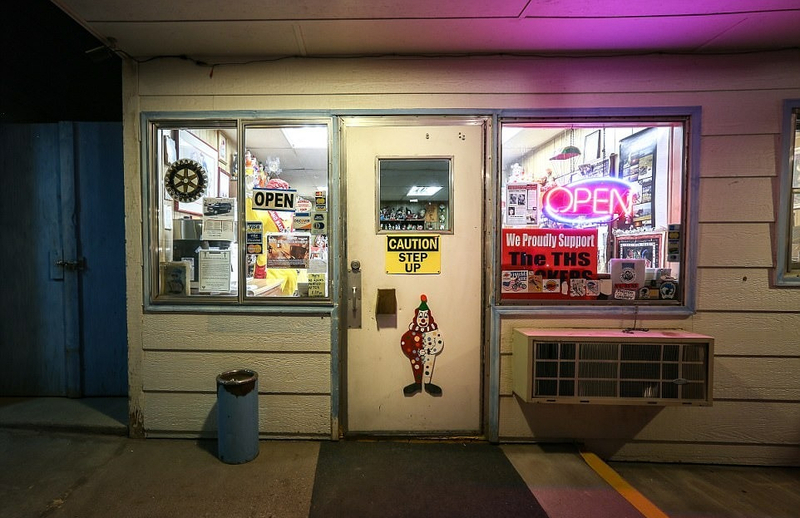 In the recent past, this Clown Motel has been notoriously known and has scared its guests more than delighting them. The guests check-in here at the main office under the vigilance of weird clowns resting at awkward places who may appear out of nowhere. 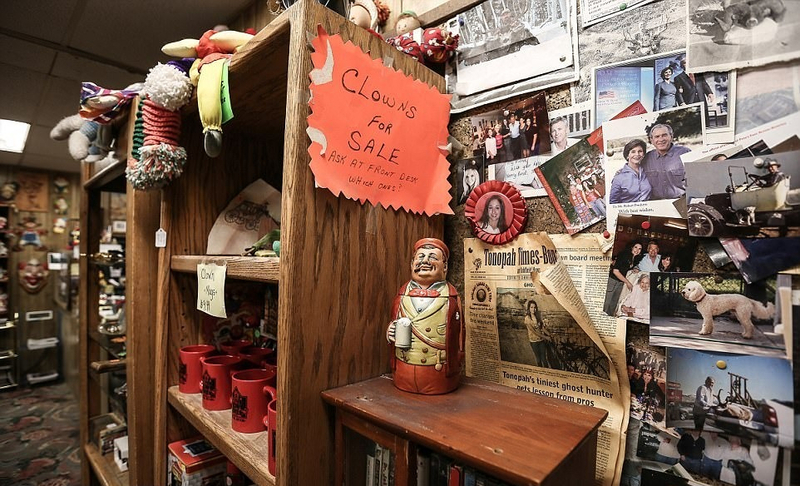 Some small clowns could be sitting on shelves, some big clowns could be relaxing in chairs and a wild-eyed clown in a cage would be resting over the cash register. 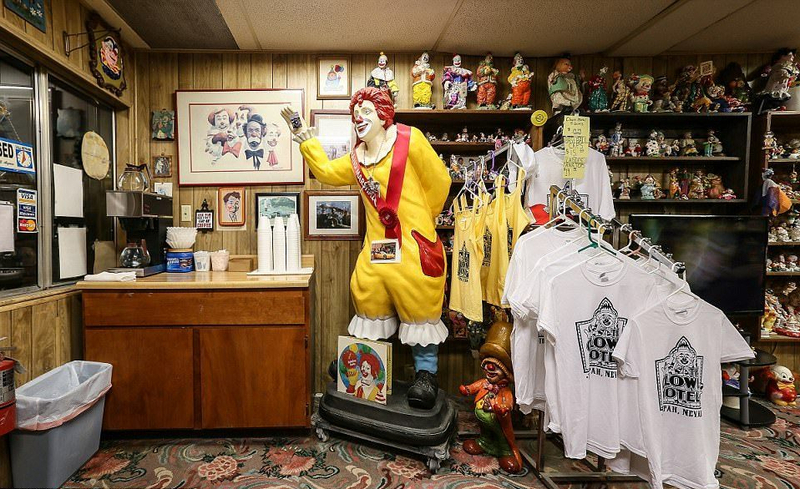 In the lobby area of the Clown Motel, there are hundreds of pale-faced, dead-eyed and grinning clown statues and dolls. The lobby’s entrance isn’t too clown-heavy and there’s a sign at the door saying “CAUTION STEP UP” along with a smiling clown. McDonald’s clown mascot Ronald McDonald made a guest appearance at the motel’s lobby. The on-display dolls present a whole range of clown accouterments such as white faces, top hats and parachutes. Besides this, the non-coulrophobes visitors can even take the clowns home (front desk will tell which ones) if they wish to. The red noses of clowns are also available for sale. In the outside area of the lobby, the clown presence is less but there sure is a smiling clown in front of every room’s door. 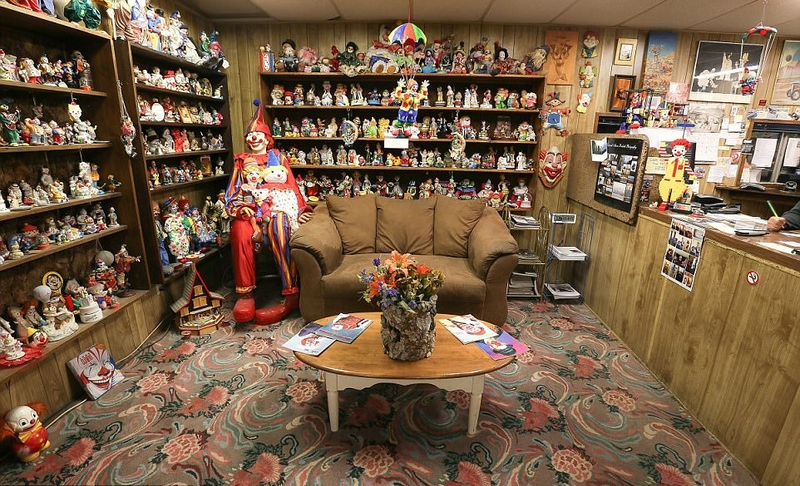 The interior of the rooms, thankfully, is clown-free. Some rooms have pictures of clowns which can be covered on request. 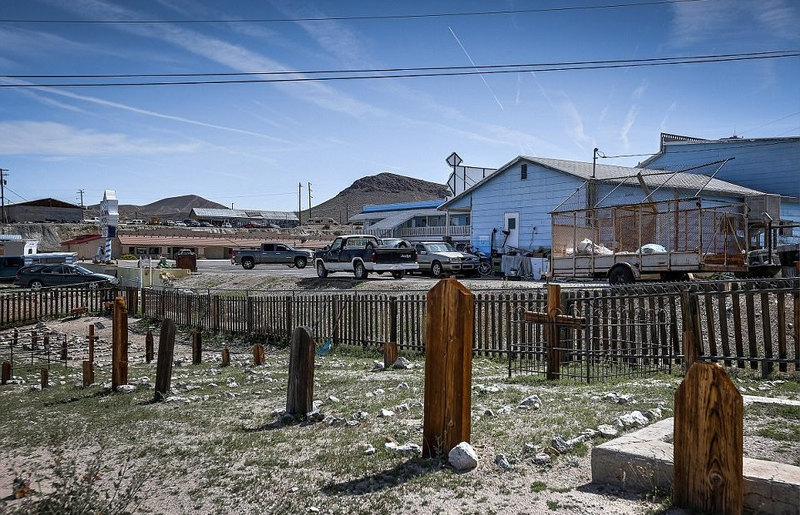 But you might still not get a good night's sleep if you look at the old ‘Tonopah Cemetery’ out of your bedroom window.